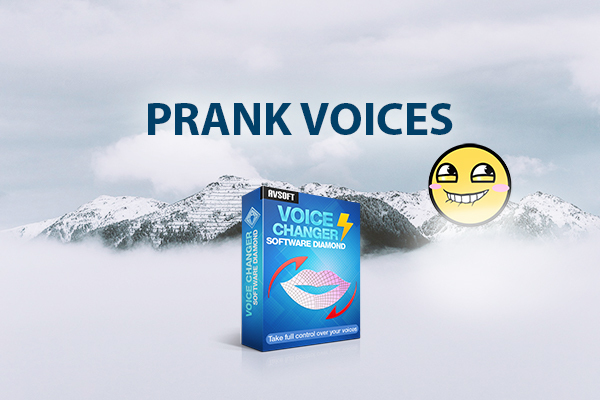 Whether you want creepy prank call voices, meme voices, funny voices, or any prank voices that you want, there is a way to customize your voice with a prank voice changer. In this article, I will show you a collection of funny prank call voices that you can make with AV Voice Changer Software Diamond. There are a lot more cool voices that you can explore on the way, but these tutorials with a voices list will be a good start to use the software. In here, I will show you how to make different voices funny, troll voices, voice for prank calls with the software AV Voice Changer Software Diamond. There are many things that you can do with the software. By following these tutorials, you will get the gist of it, as it's extremely easy to change your voice and make some prank calls on the Internet with the software's help. Hope that you will like those funny voices for prank calls. Of course, to use the voice changer software, you should also know how to use other features, such as edit an audio file, change the vocal of a song, add more effects, convert audio format, etc. Furthermore, you can also connect the voice changer to VOIPs such as Skype, Discord, Viber, etc. and change voice male to female, or any voice, in real time! Hope that you will enjoy the tutorials.